Oman’s name is closely associated with desert. The desert in Oman is an extension of the Bedouin lifestyle with its ancient associations of traditional culture and authentic original customs. The Omani desert is characterided by the diversity of its plants and animals. In Jeddah Al Harasis in Wilayat Hima AlWasta Governorate (the Central Region), there are many mammals within the boundaries of the Arabian Oryx Sanctuary. What do I need to do to book a tour and confirm my reservation? Booking a tour is simple. You just need to contact our representatives and then you will receive an immediate response giving you the available options and then you can build a tour that will suit your needs. After that a detailed itinerary that includes all necessary information and plans will be sent to you. At this point, you need to confirm your reservation with paying a deposit. Your reservation will not be confirmed until payment of this deposit is received by Memphis Tours. The balance of payment will be due on arrival to begin your tour. If the full payment is paid six months before the date of your arrival, we will gladly reduce the quoted cost of your trip by 5%. “Early Bird” rates require full, non-refundable pre-payment. Discounted tours will not be eligible for date changes or refunds. Is it common to use credit cards in Oman? Credit cards are widely used in India in hotels, many shops, restaurants, and cafes. Is there any special dress code to be followed during visiting religious sites in Oman? There is no special dress code to be put on while walking in the streets, but modest dress is recommended, especially during visiting religious sites (Shoulders and legs should be covered). Can I take pictures of the people, streets, in Oman? Omani people are hospitable. However, it is always polite to ask for a permission before photographing someone. 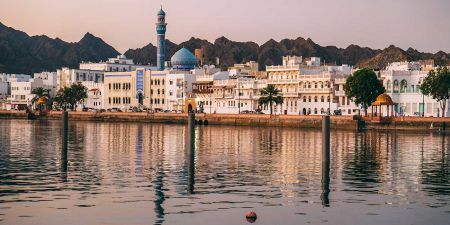 What is the best time to visit Oman? 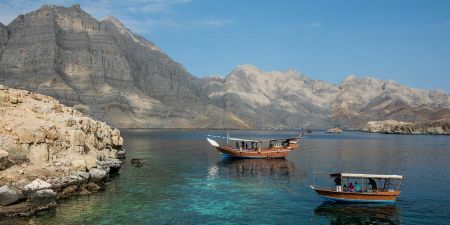 November and mid-March is the best time to travel to Oman. It is when the temperature is pleasant and there is still plenty of sunshine. This is the peak season in travelling to Oman. So if you want quieter time, you can travel during summer, but be prepared for hot weather. Do you need visa to travel to Oman? British and EU citizens can obtain visa on arrival, for 10 or 30 days at a cost of 5 to 20 Omani rials. One can pay for visas at the Travelex Foreign Exchange desk, located in the airport's immigration arrivals hall. Most currencies are accepted as well as most credit cards. The short stay visa, up to 10 days, costs R.O. 5 while the one-month combined tourist-business visa costs R.O. 20. The one-month visa can be extended by a further month for the same price. All visitors must show proof of onward or return ticket upon applying for their visa. What can I do in Oman? The country is a diverse destination, with plenty of cultural and historical sites in its magnificent cities Muscat and Nizwa. Oman also has a number of beautiful beaches, spectacular deserts and nature reserves. 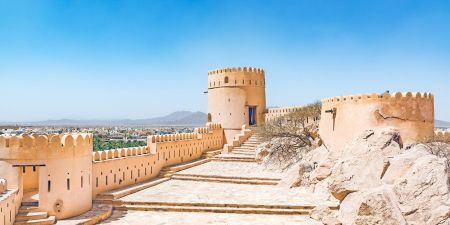 In Muscat, there are a lot of forts you want pay a visit to, besides the museums. The Muscat Gate Museum is good for giving you an overview of Omani history. Desert trips can include camping, sand boarding, camel trekking and hiking. What is the local currency of Oman? The local currency if the Omani rial. However, one can easily exchange U.S. dollars at banks and with money changers. Probably, you will get a slightly better rate from the latter. There are plenty of ATMs in Oman. Major credit cards and debit cards are accepted throughout the country. The date of Ramadan is different each year, as it is determined by the moon’s cycle. Special committees decide the dates of Ramadan and they are not announced very far in advance. If you want to make sure you, check with one of our travel advisors. Ramadan lasts for 29 to 30 days each year. Do Omanis speak languages other than Arabic? Oman's official language is Arabic. However, most people will understand English, particularly in urban and tourist areas. The country also has a number of minority cultures so languages such as Swahili, Urdu and Hindi can also be heard. 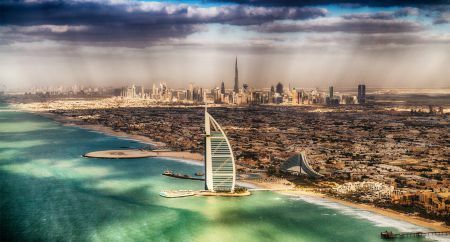 professionals, who work in the tourism sector, are accustomed to visitors who cannot speak Arabic and they will speak enough English and other languages to fulfill the needs of most travelers. Arabic is the official language in Oman, but English is also widely spoken. The currency of Oman is the Omani Rial. Major credit and debit cards are widely accepted throughout the country, besides there are plenty of ATMs in Oman. Water is considered safe but bottled water is better just in case. Don’t leave Oman without some frankincense, shisha pipe, a coffee Dallah. Oman is a liberal place. However, it is advisable to dress modestly, when entering places of worship (shoulders to knees should be covered). It is offensive to take pictures of people without asking them for permission. The Sultan Qaboos Grand Mosque is indeed grand! Explore at the second largest chandelier in the world and the huge prayer rug that took 27 months to weave. Take a 4WD jeep tour to discover the multicolored sand of the desert of the Wahiba Sands. Cruise your way past the breathtaking mountains and relax on cushions and carpets aboard a traditional Omani dhow. Explore the oasis of Al Hamra surrounded by the majestic Hajar Mountains. Indulge in the natural emerald pools of Wadi Bani Khaled. Enjoy Wadi Al Arbiyeen’s Al-Sharqiyah and Al-Hajar Mountains and its deep pools. Have a glimpse of Wadi Ad Dayqah, which is popular for its water flows year-round. Go on adventurous hikes or enjoy some boating Wadi Al Shab. Enjoy Wadi Al Ta’iyeen, an idyllic valley dotted with acacia trees and small hills. Enjoy watching the blind Garra Baremiae fish swim the lake within Al-Hoota cave. Enjoy the paintings and poetry that line the walls of Jabrin Castle.